Colorado wedding photographer for the Sanctuary Golf Course in Sedalia Mark Creery Photography. Mark captures the elegance and natural beauty that this venue offers and also shows off your personalities in a fun and natural way. Mark has photographed at many golf clubs around the world so knows how to best photograph Sanctuary Golf Course and its mountain views, waterfalls and the Clubhouse for your wedding reception. 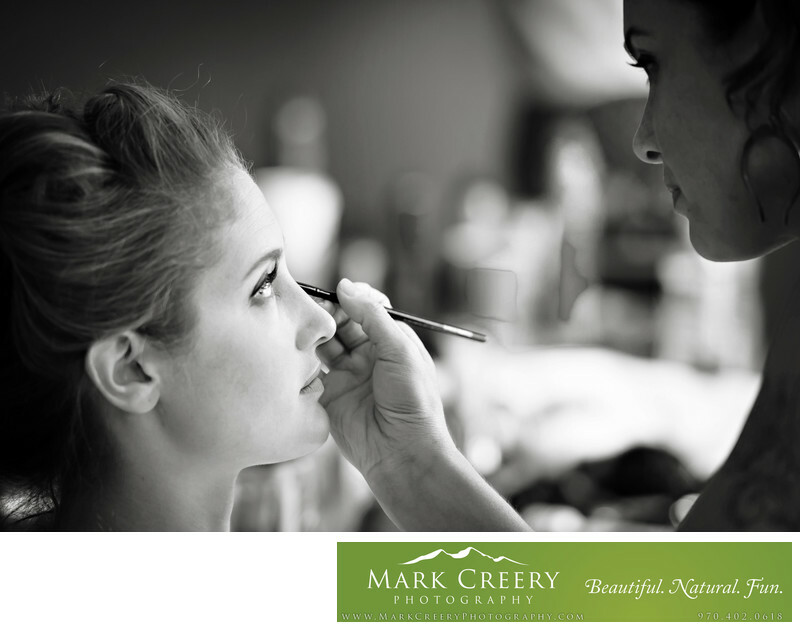 In this photo, the bride was getting her make-up done and it shows how I like to use light to highlight my subject and shadows to take away from less important aspects of the scene, like the make-up artist. I like to mix close-up and intimate photos with more expansive wide-angle scenery photos to give you a variety of wedding photos to tell the story of the day in a captivating way. Location: Sanctuary Golf Course, Sedalia, Colorado.